Bag your popcorn and fries like the professionals do with this set of S/S New Star Commercial Grade French Fry Baggers. These right-handed industrial kitchen tools are crafted with a stainless steel funnel and Bakelite handles. Increase your output while regulating your portion sizes with this affordable solution to all your bagging needs. 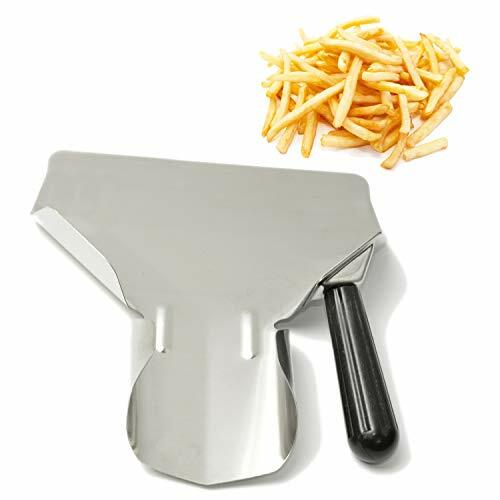 If you enjoy finger food as much as we do, then a French fry bagger will be one of your new favorite kitchen utensils. 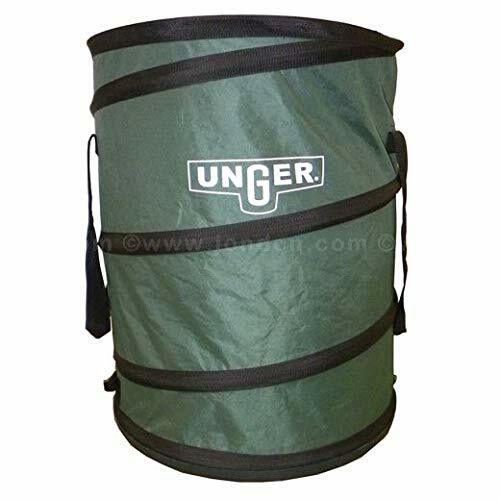 Made out of durable and scratch resistant plastic, these baggers are great for scooping anything from fries, popcorn and even candy into any kind of bag. This will make packaging food up for gifts or your restaurant incredibly easier. This material is heat resistant (unlike metal), but is not heat proof. It will begin to warp when heated past the materials melting point. Made from durable heat and scratch resistant Polycarbonate. Plastic scoop will not corrode from heavy expose to salt. Quickly funnels fries or popcorn into bag. Helps promote proper food portioning. Made of hardy, corrosion-resistant stainless steel that is fully dishwasher safe. No flaking, chipping, or discoloring. Easy and quickly fill fries or popcorn into bag,boxes and bowls. High temperature resistant handle prevent burns. Designed for right-handed use ,perfect for personal or commercial use. Multipurpose tool helps promote proper food portioning,no matter popcorn,French fries, ice, candy, desserts, and other dry goods. Great for movie theaters, carnivals, weddings and buffet. Bag your popcorn and fries like the professionals do with this set of S/S New Star Commercial Grade French Fry Baggers. These dual-handed industrial kitchen tools are crafted with a stainless steel funnel and Bakelite handles. Increase your output while regulating your portion sizes with this affordable solution for ambidextrous cooks everywhere. 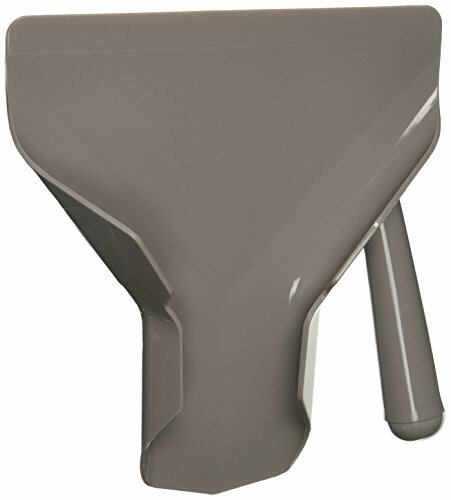 If you enjoy finger food as much as we do, then a French fry bagger will be one of your new favorite kitchen utensils. Made out of durable and scratch resistant plastic, these baggers are great for scooping anything from fries, popcorn, and even candy into any kind of bag. This will make packaging food up for gifts or your restaurant incredibly easier. Bag your popcorn and fries like the professionals do with a S/S New Star Commercial Grade French Fry Bagger. 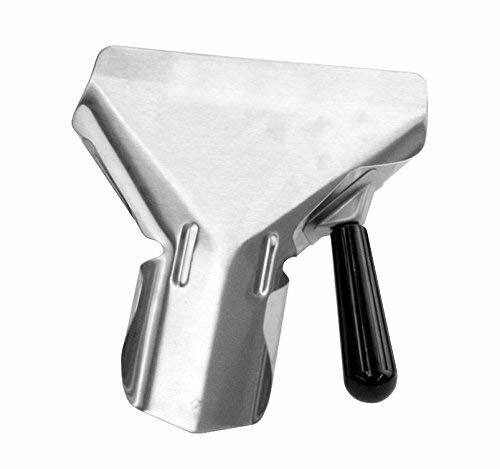 This left-handed industrial kitchen tool is crafted of stainless steel with a bakelite handle. Increase your output while regulating your portion sizes with this affordable solution to all your bagging needs. 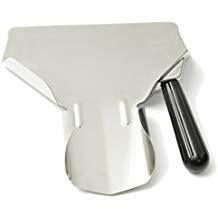 Stainless steel chip French fry bagger right handle can scoop and serve or bag French fries quickly and efficiently. Suitable for a variety of foods such as popcorn, sweets or nuts. For more catering spares and parts. 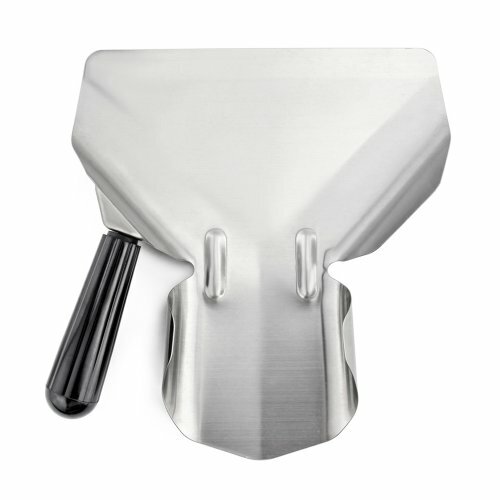 Stainless steel chip scoop bagger For right hand used Have a funnel shape, easy to bag your popcorn and fries into a smaller packet or bag. 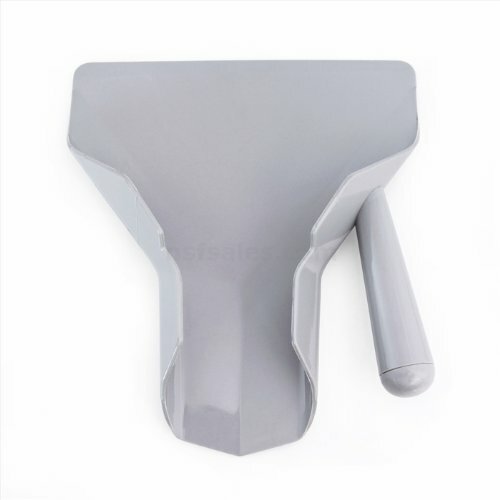 High temperature resistant handle protect hands from heat. 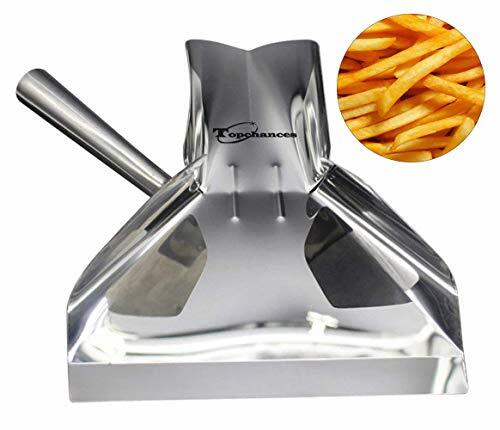 Perfect for personal or commercial use Material:Stainless steel + ABS plastic Tickness:0.6mm Dimensions(WxDxH) 7.7"x9.4"x1.5"/19.5cmx23.8cm*3.8cm Net weight:9.2oz/260g Package included 1 french fry scoop FAQ: Q1:What's the benefits of french fry scoop? A:It can improve your efficiently.Bag your popcorn and fries like the professionals. Q2:What's the range of application A:It's suitable to portion popcorn,French fries, ice, candy, desserts, and other dry goods. Great for movie theaters,carnivals,weddings ,party,buffet,cafe. Q3:What's the warranty A:Any issue about our products(refunding or returning) or service, please feel free to email us. We promise to give you a satisfactory solution at the first time. 1)Stainless should be pre-soaked immediately following its removal from the table. Use a pre-soak compound recommended by the manufacturer of your detergent. It is very important that you use only a plastic or stainless steel pan for pre-soaking. NEVER USE AN ALUMINUM PAN. Aluminum frees the chlorine present in most pre-soak compounds, and causes discoloration of stainless steel. 2)Take particular care in removing all remnants of lemon, vinegar, butter, ice cream, cheese, milk and table salt from stainless items directly after use. These foods can cause corrosion if they're left too long. 3)Be sure that the stainless does not remain in the pre-soak solution too long before it is washed. After pre-soaking, wash your stainless in hot water and a good cleaning agent. Select your cleaning agent with great care, making sure there are no abrasive or corrosive qualities. Stainless steel should be thoroughly dried immediately after washing. The clean stainless should then be rinsed in water of at least 180 degrees. A wetting agent may be added to the rinse to prevent minerals in water from staining your tableware. Should you have very hard water, a softener is recommended. 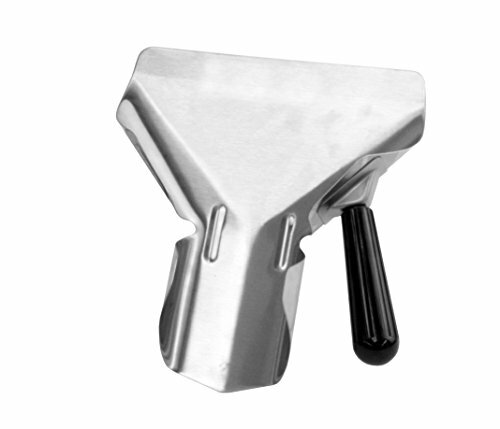 Made of high-grade stainless steel, extremely tough and durable. 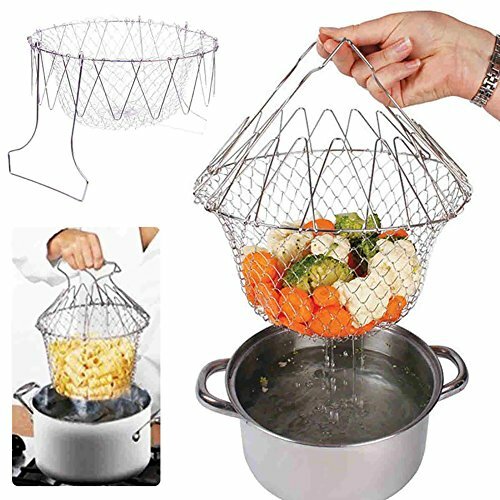 Quickly funnels fries or popcorn into bags and boxes,it is convenient for you to make different size of cake, pizza and others food. Helps promote proper food portioning,No peculiar smell, easy to clean, durable for long time use. A popular menu item in virtually any quick-serve, fast food, or casual restaurant, French fries is a classic favorite! Whether customers want a large fry, or they add them as a side, French fry orders are constantly coming through; and in the fast-paced environment of any kitchen, it's important to have a foodservice tool to keep up with the mass volume of fry output. 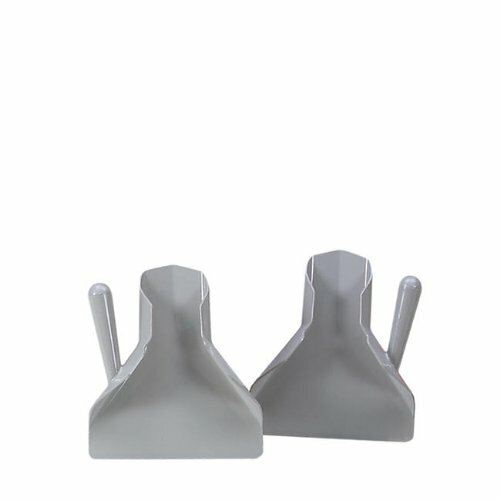 This stainless steel French fry scoop with double handle will help your staff quickly and easily fill fry bags, cups, and food trays. Crafted from stainless steel, this french fry bagger is easy to clean and will endure heavy duty use without rusting or bending. A great addition to any concession stand or food service facility, this french fry bagger is designed with two removable handles accommodating a comfortable grip for left or right-handed users. Length: 9 inches. Width: 7 3/4 inches. NSF certified. Use the Thunder Group SLFFB001 Dual Handle French Fry Bagger for filling food containers with uniform portions of freshly cooked fries. A great addition to any concession stand or food service facility, this french fry bagger is designed with two removable handles accommodating a comfortable grip for left or right-handed users. Crafted from stainless steel, this french fry bagger is easy to clean and will endure heavy duty use without rusting or bending. Ideal for quick-serve, fast food, and casual establishments. Keeps user's hand away from grease and hot metal. Keeps up with high demand of fry orders. Length: 9 inches. Width: 7 3/4 inches. NSF certified. Plastic R-Hand French Fry Scoop. Excellante right handle French fry baggers. Made of durable corrosion resistant shiny finished stainless steel material. 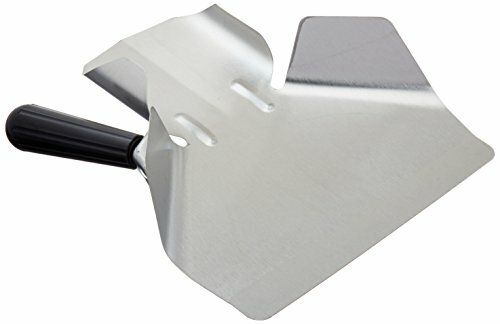 Shovel up and serves fries with fast efficiency. Works for right handed. Reduces spills and serves even portions. Commercial grade quality, made to endure the toughest condition in any kitchen. 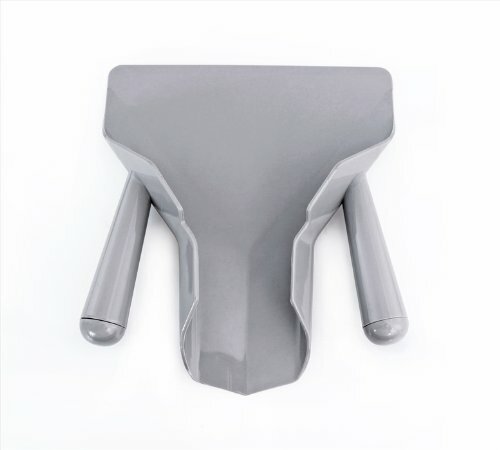 Handle size 3.875" x 1.125" x 1.125". Control portions and sanitary transfer of French fries, while ensuring they remain perfectly intact with this fry scoop from Prince Castle. 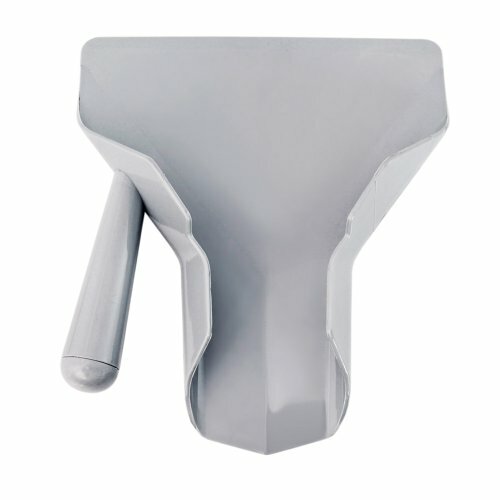 Constructed with a durable nylon, this fry scoop's new dual handle design ensures a safe and easy grip for increased productivity. 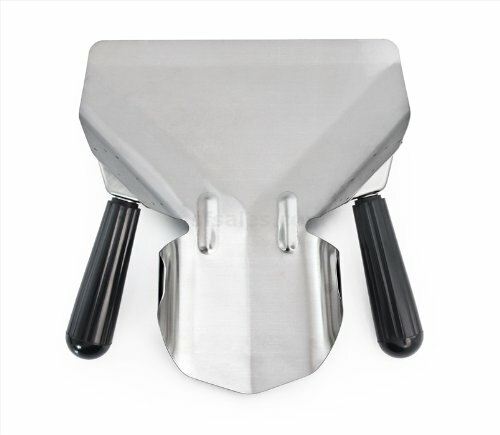 The dual handle design of this fry scoop also eliminates the need for purchasing scoops to accommodate both right-handed and left-handed employees. Bag your popcorn and fries with this Polycarbonate New Star Brand French Fry Bagger. This left-handed industrial kitchen tool is crafted of durable, scratch resistant, and food contact safe polycarbonate plastic. This commercial grade material is perfect for heavy duty use. Increase your output while regulating your portion sizes. So get ready, get set, and start bagging!. Heavy oxford canvas makes this recycling bagger puncture- and tear-resistant. Spring-loaded, bag collapses and locks for compact storage and shipping. 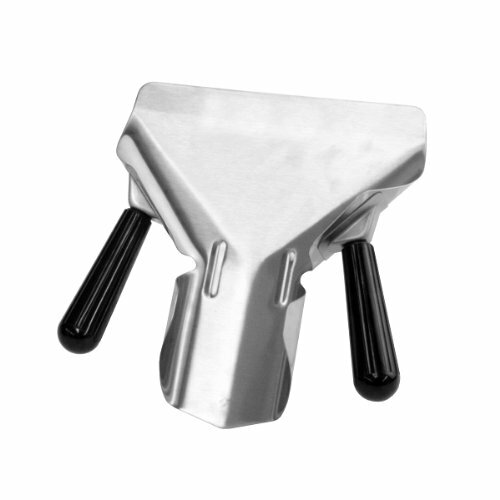 Rugged plastic bottom can be dragged along ground while working. Contains drainage holes to make rinsing and cleaning easy. 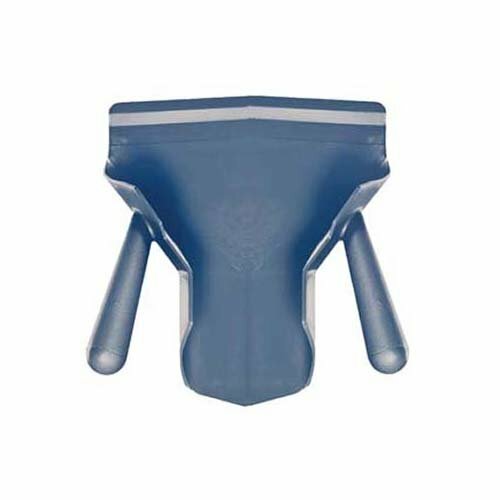 Ergonomic design, with built-in handles for easy lifting, pulling and emptying. Ideal for the safe pickup and removal of trash. Perfect for indoor and outdoor usage. Bagger collapses for compact shipping and storage. Bottom drainage holes make rinsing out easy. Can be pulled on the ground. Less bending or lifting. Protects workers from being hurt by sharp objects. Uses standard 55 gallon trash bags. Built-in handle makes emptying the bagger easy. 23" diameter by 27" height; 6 lbs.